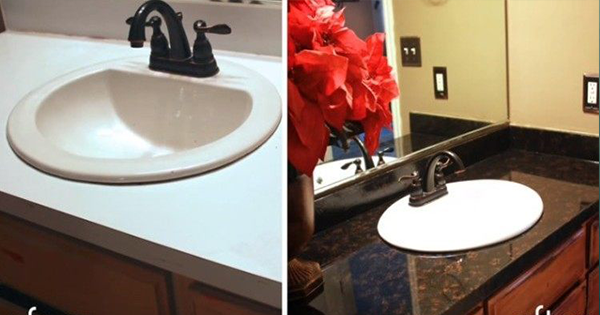 She Transformed Her Old Laminate Countertops To Look Like Marble Stone In Just 30 Minutes! Is your kitchen or bathroom looking a little drab? Do you desperately need new countertops but can’t afford the fancy proper ones? Well, have no fear! Instead of shelling out major bucks here is a video that shows how you can transform the look of your whole bathroom and kitchen for virtually nothing, and it looks amazing!